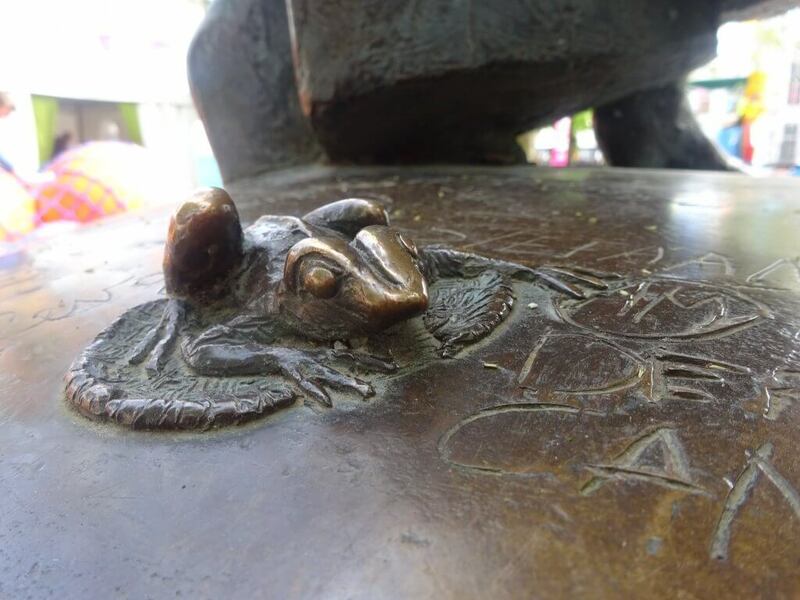 What's With The Frog Hiding Behind The Lovers Statue? Just off the main square in Bruges there is another small tree lined square. In this square stands The Lovers statue, or Les Amoureuses. This piece of art also has a little quirk, there is a frog at the back of the statue, which has it’s own little tradition surrounding it. 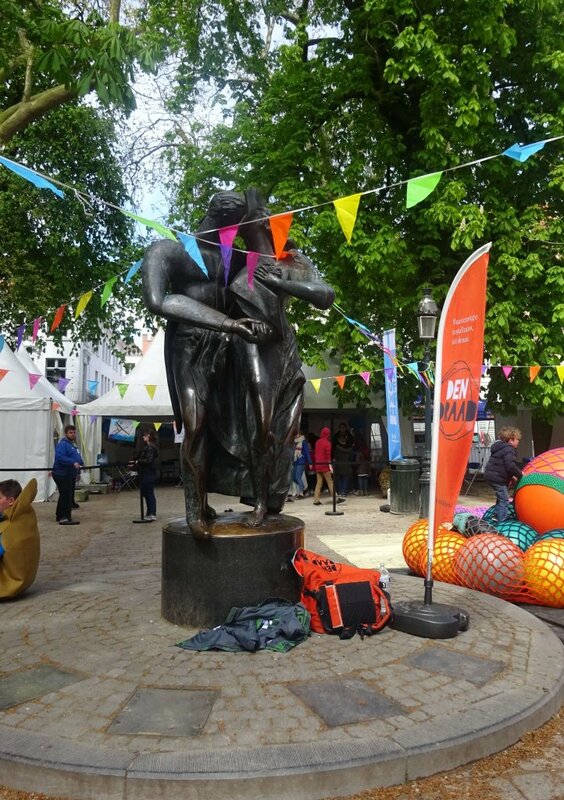 The bronze statue is the work of husband and wife team Stefaan Depuydt and Livia Canestraro. This sculpture is of a couple, that are lovingly embracing. They are completely captivated with each other under the canopy of trees. The lovers are sculpted as if they are about to kiss. The statue’s location is just off the main Burg Square, in a smaller, pretty square. On the main square is the City Hall. It is suggested that the Lovers represent all the couples that were married there. Behind the Lovers, on the column on which they are stood, a small bronze frog can be found. 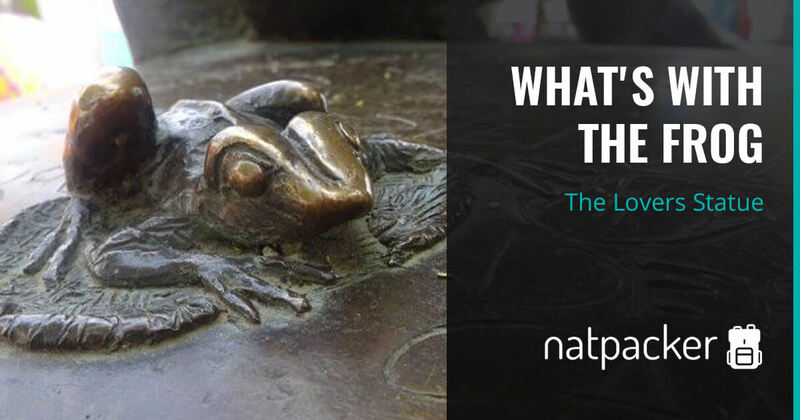 There is a tradition that surrounds this frog, which has been around for over a century. 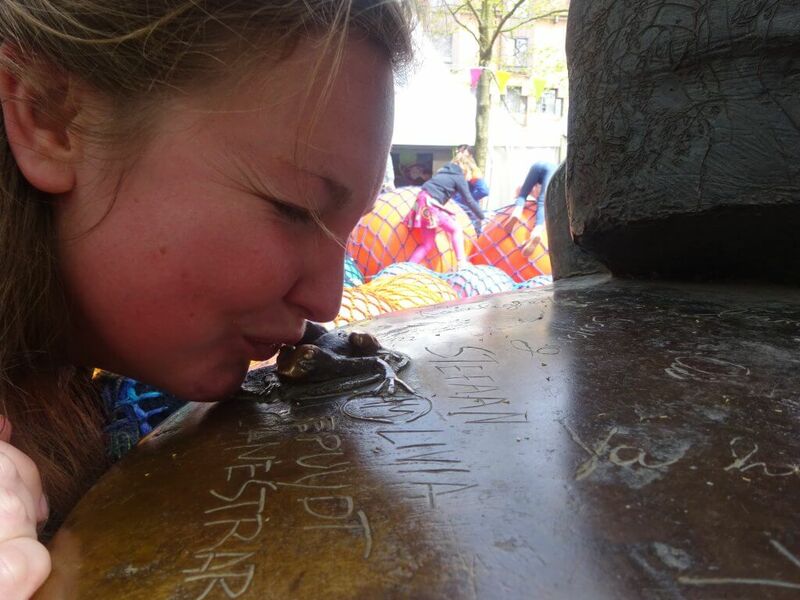 It is told that travellers should kiss the frog. Once the frog has been kissed 100,000 times, it will turn into a Prince, or Princess, who will carry your bags for you forever. So make sure you give the frog a kiss, you never know, you could be the 100,000th person! Face the Belfort and head to the left, follow the road round and then turn left onto Breidelstraat. Follow this street to Burg Square. Carry on across the square, keeping to the left. The square opens out on your left, in this open space you will find the statue of the Lovers. Want to visit? Check out accommodation on TripAdvisor. 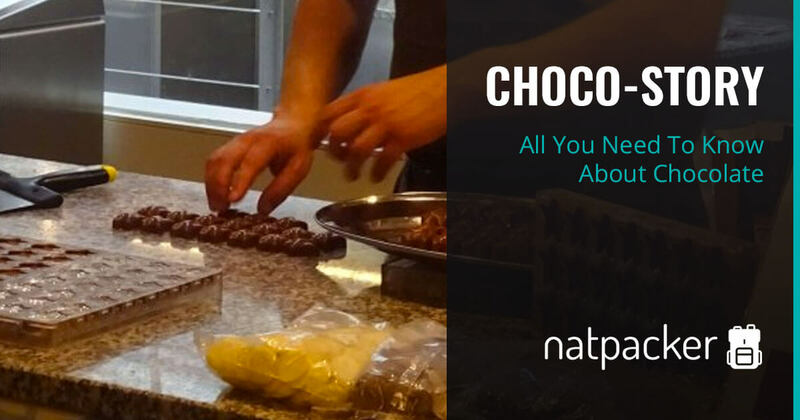 Visit the Choco-Story Chocolate Museum to discover all about chocolate! A beer lovers dream! 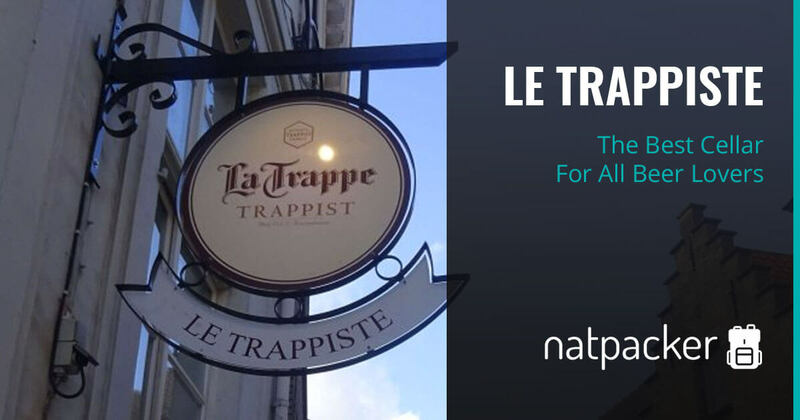 In Le Trappiste you will find over 100 speciality beers.